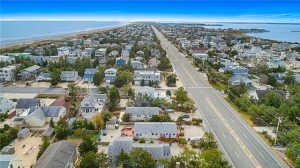 Typically , as temperatures rise, buyers tend to have LBI beach homes on the brain. It’s only natural that all that sunshine and warm temps leave people itching for a permanent dose of vitamin “sea”! 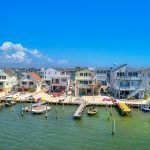 Even though the active inventory on Long Beach Island may be higher during the spring and summer months, those seasons are not necessarily the best times to purchase a beach house on LBI. So when is the best time to buy a second home/beach house? 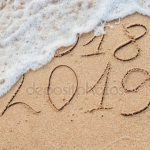 A Trulia study that examined property searches across its entire site suggests that in most coastal markets you’ll find the best deals during the months of December and January. That’s the time of year when you’re likely to hit the real estate sweet spot: a decent amount of remaining inventory with less competition, which yields better opportunities for negotiating a good deal. This means that Beach Haven bungalow only 2 houses from the beach access may be more within your price range than the home a full block from the beach! Sure, less available inventory may sound like a real estate negative, but that can actually work your favor, especially if you’re looking for a deal. With less competition, impatient sellers looking to unload a property off their hands may be more willing to negotiate. In turn, you just may get the beach house (and deal!) of your dreams by shopping now for a Long Beach property. For assistance in purchasing your “LBI dream home” 🏖 🏝 🏡 , or any questions, please contact us at team@noplacelikelbi.com.